Walker's Hall, a three-storey brick building embellished with limestone quoins and mullions in the main street of Appleby, is perhaps typical of the seventeenth-century rebuilding. It was probably constructed around 1650 by David Walker, the descendant of a family well established in the parish when they shifted from Little Appleby. David’s father, Richard Walker, who was cited as a witness in a scandalous archdeaconery court case relating to an incident in a local alehouse, was one of the 'richer sort' cited as an incloser in the 1638 Star Chamber suit brought by the parson and some of his poorer neighbours. David's inventory, drawn up in 1663, describes a spacious house containing eight rooms and outbuildings, including a two-storey cowhouse with servants' quarters aloft. The downstairs hall and parlour, furnished with joined furniture and wall hangings, were both chambered over. There was also a chamber over the kitchen used for storing grain. Two other chambers over the hall and stair head were furnished with bedding, while the 'cockloft', in the roof, contained a 'parcel of cheese'. The increasing profits from dairying and other subsidiary activities encouraged yeomen to rebuild their farmhouses adding additional rooms for storage and food processing. 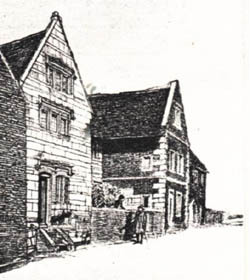 Walkers house recorded in David Walker's inventory, 1663 (L.R.O. PR 1/61/122); 1664 hearth tax return for Repton Hundred (E179/245/10) reveals that John Walker paid for only one hearth which suggests that the house was still under construction; There is a reference to 'Walker's Hall' in George Moore’s inventory, 1718. For the 'housing revolution' in the midlands see M.W. Barley, The English Farmhouse and Cottage (London, 1961), 146-56. 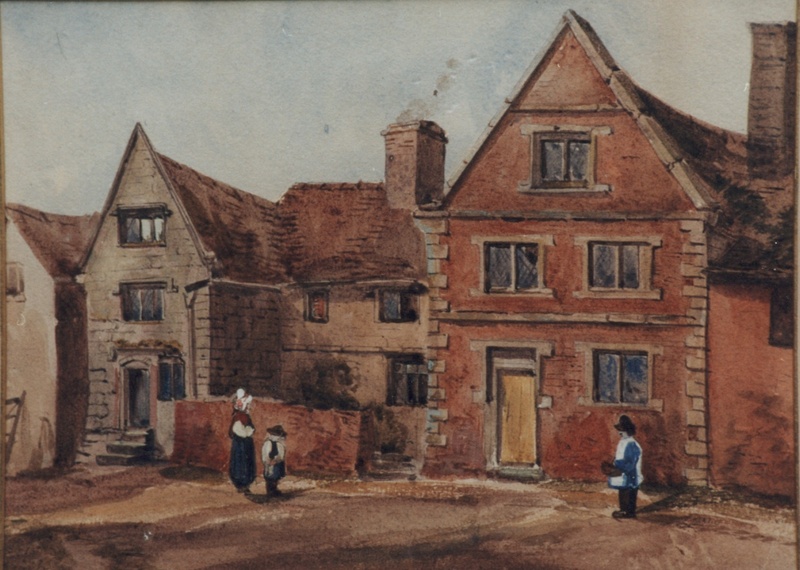 There is a drawing of the hall by William Green, done in 1949, on the website of his work.